It’s become a tradition for Rihanna to host a Met Gala after-party whenever she attends main event. This year the party was at Up and Down nightclub and many celebs were in attendance including Kim Kardashian, Chadwick Boseman, Diddy and Gigi Hadid. Styled by Mel Ottenberg, Rih looked chic in a loose-fitting ensemble. Rih wore Look 38 from Nina Ricci‘s Fall/Winter 2018 collection. The shimmery, grey outfit is semi-sheer and includes a ruffled top with elongated sleeves, a bra and wide leg pants. 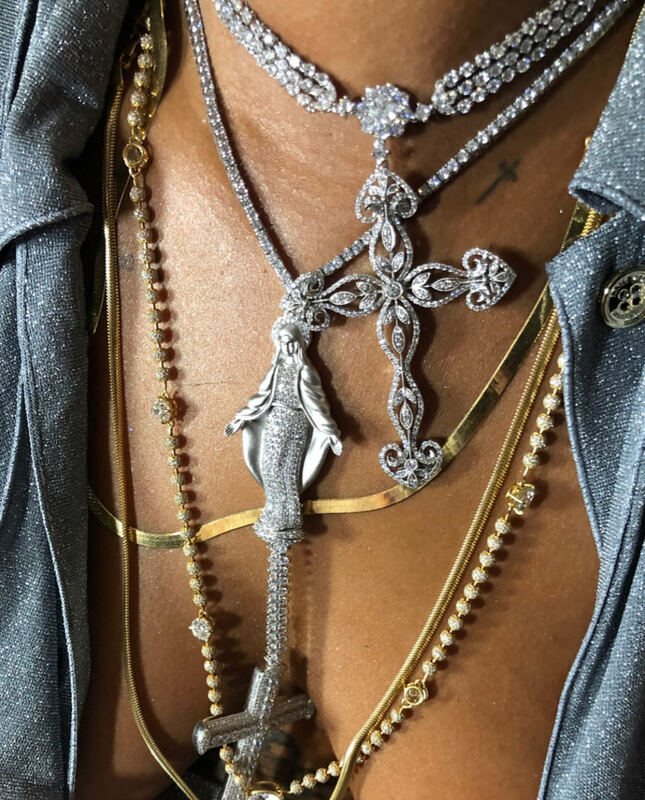 Thanks to this photo taken by Ottenberg, we get a better look at her necklaces. XIV Karats custom-designed the white gold and pavé diamond rosaries. 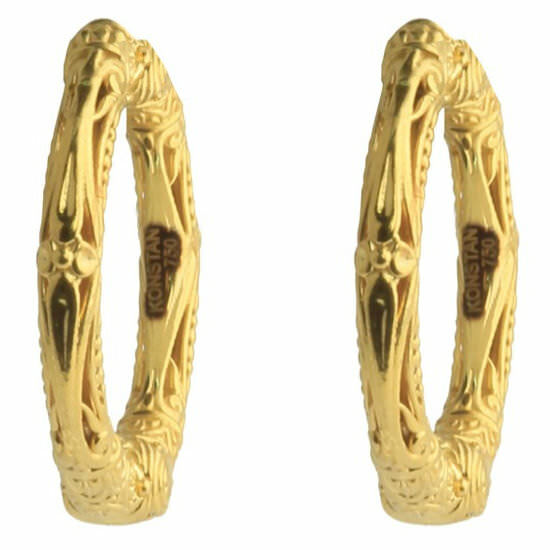 The other yellow gold necklaces are Rafaello & Co.
Rih kept in a few of her earrings from the red carpet including these 18k yellow gold hoops by Konstantino. From the Flamenco Gold collection, they boast an etched design and cost $1,300. The other earring is Maria Tash‘s scalloped eternity earring. 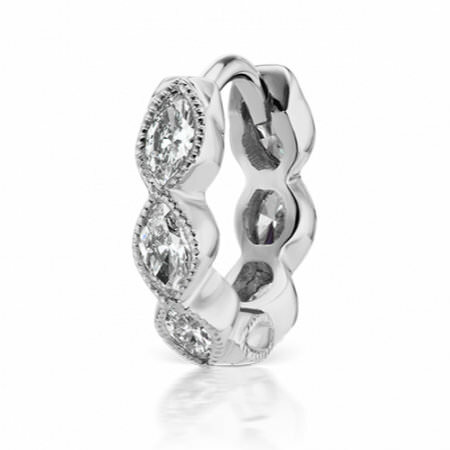 It featues marquise cut diamonds set in 18k white gold and comes in different sizes. Pictured here is the 1/4″ version, which costs $910. 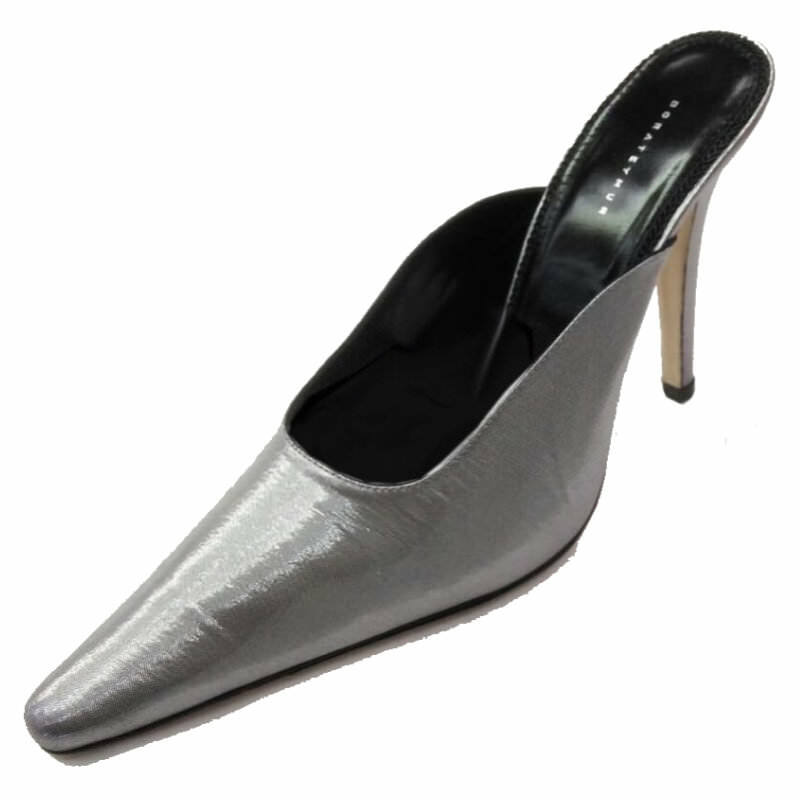 Dorateymur designed this custom silver version of the Groupie mules just for Rihanna. The shoes have a pointed toe and a low heel. Check out the black version ($415) over at Shopbop. 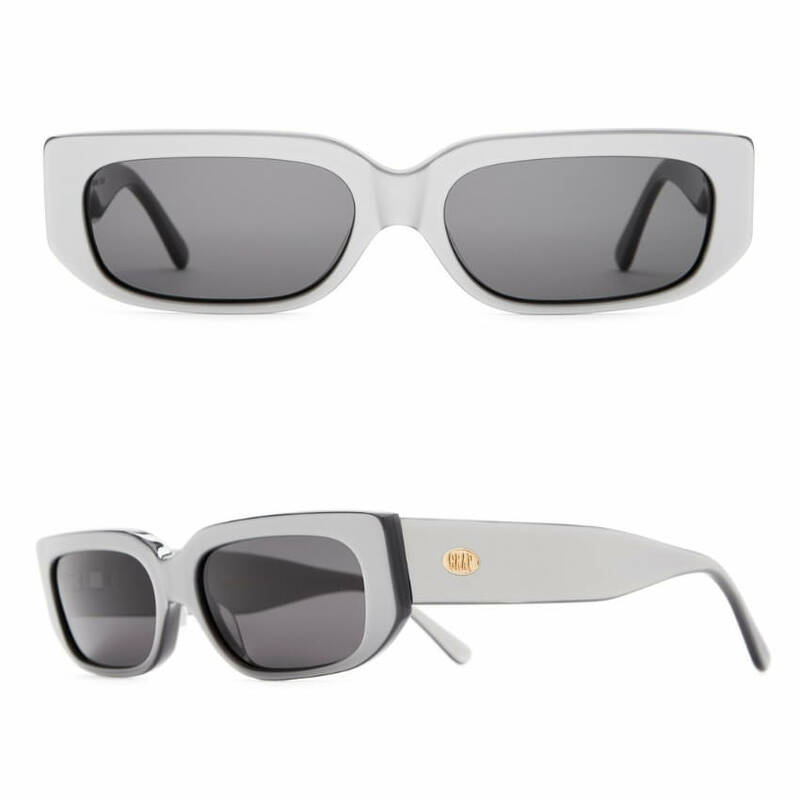 The Barbadian singer also donned a pair of Crap Eyewear‘s The Paradise Machine sunglasses ($85) in Shark Grey. The small sunglasses have a square acetate frame, semi-flat lenses and the brand’s logo in gold at the temple. Rihanna carried a Judith Leiber clutch on the red carpet at the Met Gala and she continued to honor the designer’s legacy at the after-party. 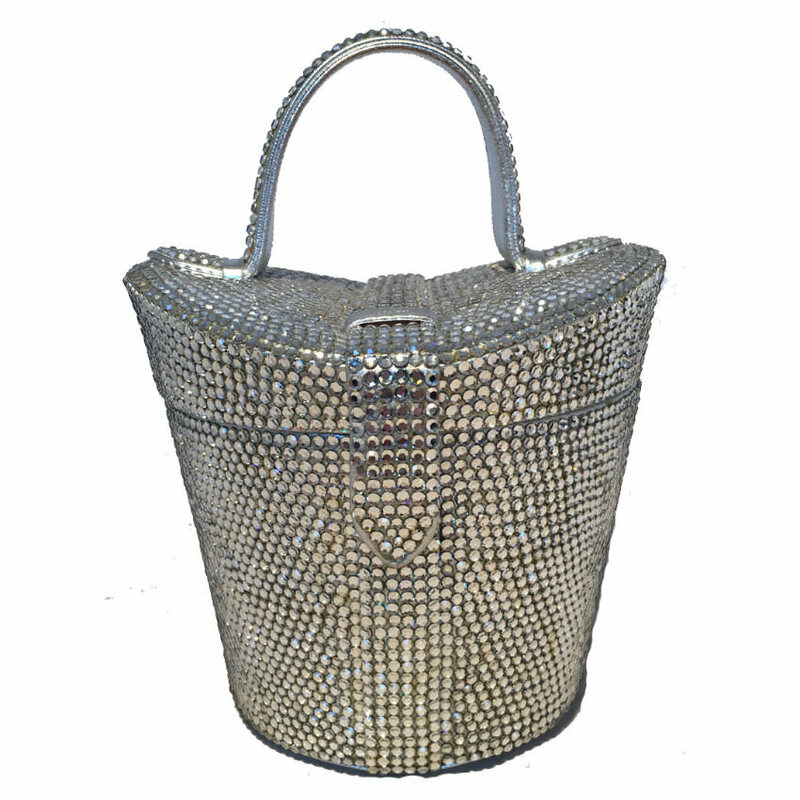 This is a vintage basket bag completely covered in Swarovski crystals that Ottenberg sourced from LadyBag International. It has a top handle and four studs on the bottom and costs $2,800.